Criminals trick taxpayers into handing over passwords, Social Security numbers, and bank account details. 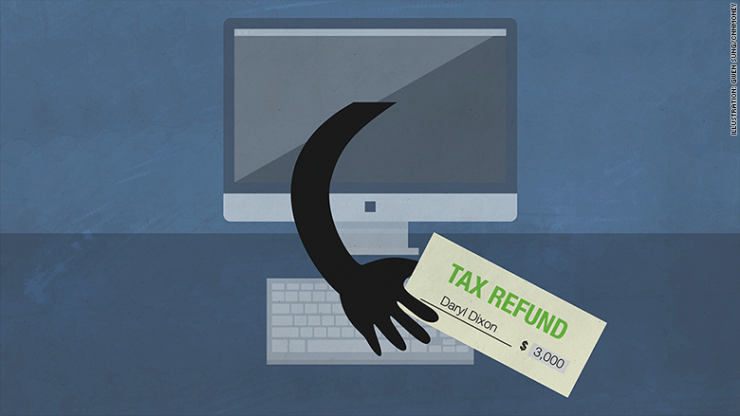 As April 18 draws closer, scammers are trying to launch last-minute social engineering attacks to steal your tax refund. The Internal Revenue Service (IRS) has issued a warning for both tax professionals and taxpayers. Alerting of another tax scam, the IRS wrote that everyone needs to be aware of these email scams, “requesting last-minute deposit changes for refunds or account updates”. The attack is another tax scam that is trying to capitalize on the looming 2017 tax season. In its alert, IRS said that both taxpayers and professionals are the targets of this phishing scam. The agency said that cybercriminals have been employing some new tactics this year. “Cybercriminals are ever evolving and make use of sophisticated scams to trick people into divulging sensitive data,” the advisory said. In one of these new scams, the criminal poses as a taxpayer asking tax preparer to make a “last-minute change to their refund destination, sending it to a prepaid debit card instead”. The agency warned that the tax preparers must call their clients to verbally confirm these if a request comes through an email. The agency further warned taxpayers to spot scam emails that could be used to get their information, and never divulge sensitive information like bank details, passwords, and Social Security numbers. Tax-related scams have exponentially increased in the last few years, with law enforcement and relevant agencies struggling to raise awareness among taxpayers. In its advisory released Friday, the IRS recommended tax professionals to “change and strengthen their own email passwords to better protect their email accounts used to exchange sensitive data with clients”. People who aren’t represented by a professional and are agent-less should also be on a lookout for these phishing emails from criminals who claim to be from banks, IRS, tax professionals, audit firms, or other relevant departments. The IRS added that everyone should forward all the suspicious emails to phishing@irs.gov, and never open an attachment or link from an unknown or suspicious source.